End of Feb - Opportunity?! I have been lucky enough to scramble some leave at the end of Feb (Specifically 26 - 05 March ) which ties in nicely with a Portsmouth - Bilbao sailing. I am intent on doing some of the TET but would appreciate any views on what might be the 'recommended' (or passable even!) chunks over that period. I have to be riding back on the 04th which limits me slightly, and most probably to the Great northern routes . Timing is slightly awkward but will be the last opportunity I have for a long time, I will be on my GSA that I have been lucky enough to take around Morocco a couple of times already. In addition my expectations of comfort are absolutely minimal. Any advice is gratefully received! Re: End of Feb - Opportunity?! East or west? Well the further west you go the more likely it is to bet wet, but that's not so probable at that time of year and you can make your mind up as you cross the Bay. The wet weather comes in off the Atlantic while the TET is on the southern i.e. landward, face of the Cordillera Cantabrica so is less prone to wet weather. Eastwards you're on low lying terrain all the way to the Bardena Blanca desert, which makes a good 'goal'. Likewise you can easily join the motorway network to head back as these are always within an hour's ride or so from the TET. Thank you so much for your reply. Based on that and my limited time I am going to stay to the West, particularly now as I have a pal coming out to meet me in San Sebastian. What are those western trails like on a big bmw? Thinking I may avoid the more slippery ones this time! Regarding your question. The North Route was designed by John Ross in collaboration with two Spanish riders, one form the Basque Country and one from Galicia. Since then we have made a few changes following feedback but these have almost all been access issues rather than difficulty. 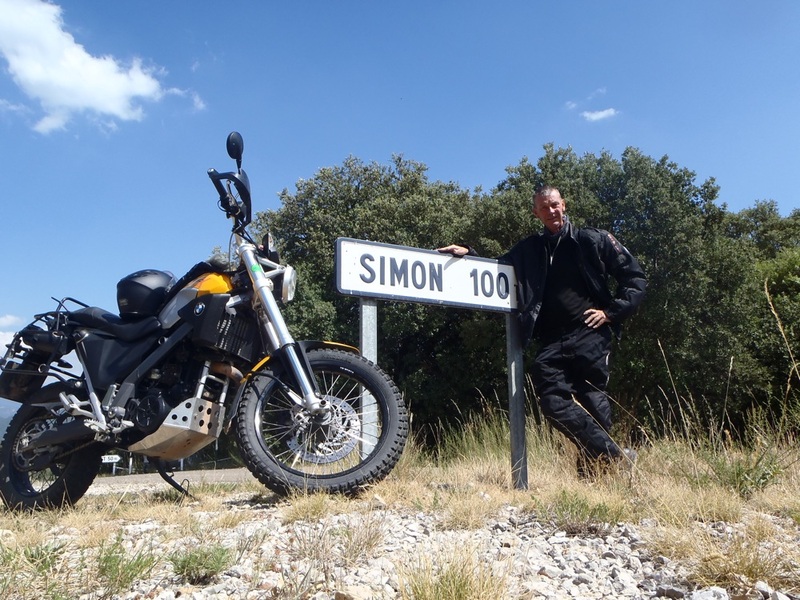 The clearest feedback about using big bikes has been to say that the only problem with taking a GS would be having difficulty picking one up on your own, so I think you can take that as a 'yes, it's OK!